The 1864 United States presidential election in Louisiana took place on November 8, 1864, as part of the 1864 United States presidential election. The state legislature chose, or electors to the Electoral College, who voted for president and vice president. 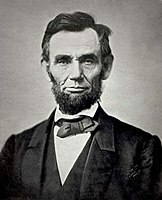 Louisiana voted for incumbent Republican President Abraham Lincoln. The state (along with Tennessee) both chose electors for the election after being captured early in the American Civil War. However, Congress did not count their votes.